HMAS Ballarat, one of the Anzac-class frigates to be replaced under project SEA 5000. Image via Commonwealth of Australia, Department of Defence. The Senate has called on Minister for Defence Marise Payne and Minister for Defence Industry Christopher Pyne to table any information and correspondence between Defence, ASC, Austal and the three Future Frigate tenderers, after rejecting Defence’s public interest immunity claims. Any other documentation held by the Future Frigate Project that discusses Australian industry capability, the partnering or use of Australian shipyards and how Techport and other Australian facilities might be used in the program. Senator Payne tabled a document last Thursday citing public interest immunity, stating the release of such documents would potentially damage national security, damage international relations and adversely affect the Department of Defence’s negotiation position in respect of future contracts. Today's Senate sitting did not accept the public interest claim and has called on Senator Payne to table any and all documents relating to the matter by tomorrow morning or attend the Senate at the end of question time on 13 September 2017, "so that any senator may ask for an explanation in connection with this matter, and at the conclusion of the explanation any senator may move without notice a motion to take note of the explanation or any failure to provide an explanation", the motion read. Senators Xenophon and Carr argued the ministers' claims that disclosing documents passed to the three shortlisted foreign companies – BAE Systems, Fincantieri and Navantia – could in some way affect Australia’s international relations "is not a reasonable claim". After the request for tender (RFT) document was leaked and revealed the use of an Australian workforce – with specific mention of ASC Shipbuilding – was not mandated, both senators said the government is seeking to negotiate a contract that prevents established Australian shipbuilders and their workers from a lead role in Australia’s Continuous Naval Shipbuilding Program, a tender arrangement that is harmful to Australian industry and national security and an approach that will have the opposite effect to a creating a sovereign capability. 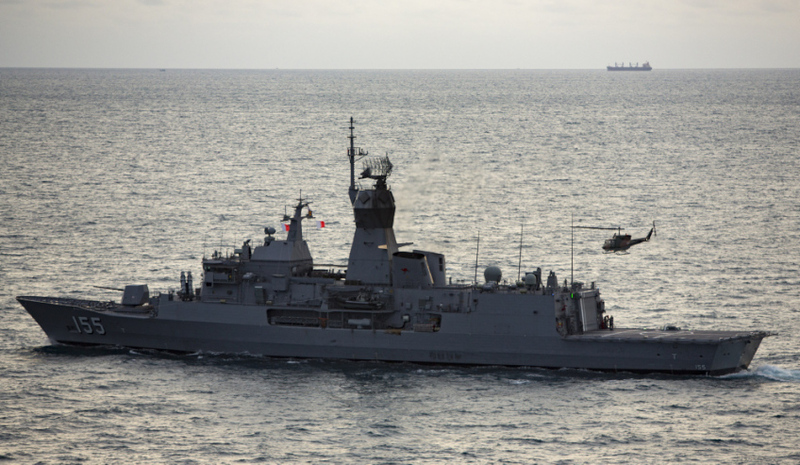 The $35 billion SEA 5000 Future Frigates Project will see the successful foreign tenderer construct nine vessels in South Australia from 2020.